Painting of the Italian artist Pompeo Batoni “Portrait of Cardinal Jean-François de Rozheshuar.” The size of the portrait is 136 x 99 cm, canvas, oil. In 1761, the painter Pompeo Batoni, along with other masters working in Rome, took part in the murals of Villa Albani, under the direction of the German artist Anton Raphael Mengs. Acquaintance with Mengs played a significant role in the interest of Pompeo Batoni in the portrait. 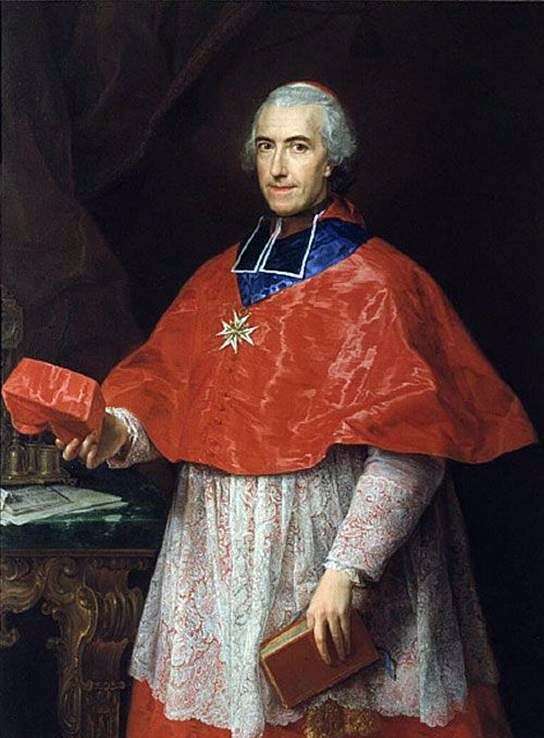 One of the best portraits of the mature period of the work of Batoni is the portrait of Cardinal Jean-François de Rozheshuar, written in the early 1760s. In this portrait of Pompeo, Batoni was able to accurately convey the inner state of mind of man. Description and meaning of the painting Portrait of Cardinal Jean-François de Rozheshuar by Pompeo Batoni.